Welcome to our website. We created this website for a history assignment. On this website you will learn about Italy during World War II. 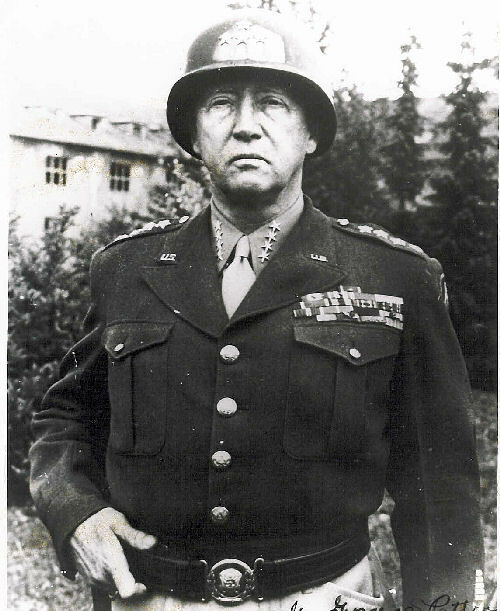 Our topics are as follows, General Patton, Sicily, Mussolini, Anzio, Cassino, and Rome. Here is a little background information on Italy. In 1911 Italy had over 34.7 million people. Their industry was considerable, but with the population growing they had to import some food so they could feed everyone. They imported most of the food from Germany and Russia. Italy had been members of the Triple Alliance with Germany and Austria- Hungary since 1882. Although many Italians did not like the alliance, many feared that the armies would not be strong enough without this aid from more powerful countries. The Italian Government proposed a military conscription in 1907. Only about 25 per cent of those eligible for conscription received training. By 1912 there were only 300,000 Italian soldiers. In 1941 Italy was totally dependent on the Nazi army. At a Casablanca Conference Winston Churchhill and Franklin D. Rooselvet talked about removing Italy from the war. But it was decided to launch an invasion on Sicily, an island in the Mediteranian Sea. This was designed to put pressure on Adolf Hitler, and force him to send troops to the Eastern Front to help relieve pressure on the Red Army in the Soviet Union.